The March 9, 2013 WINNIPEG SUNshine Girl is Rudi. The preliminary rounds of the Winnipeg 2013 Miss World of Wheels Pageant have already begun. The pageant finals take place during the 2013 World of Wheels on Saturday April 6th, 2013 at the Winnipeg Convention Centre. Rudi recently met Samuel L Jackson … but I don’t think he will be attending the pageant. Too bad for him. 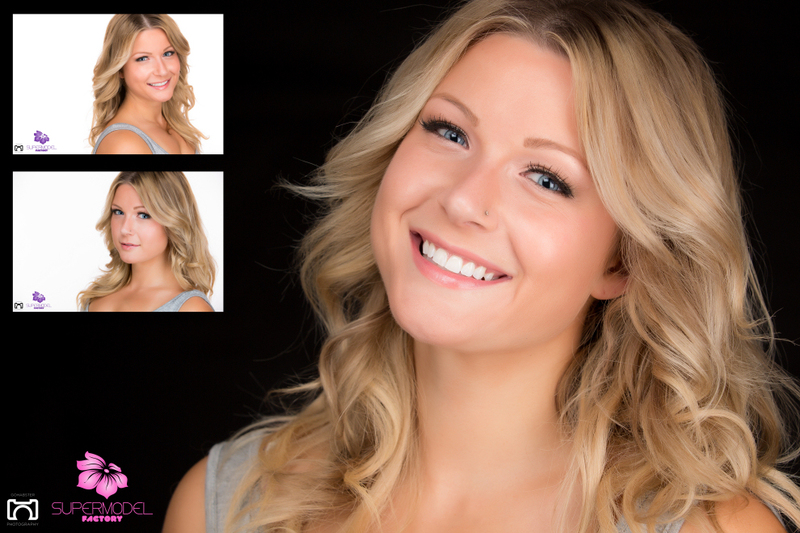 Jocelyn was chosen for the March 2, 2013 SUNshine Girl in THE WINNIPEG SUN. This new SUNshine Girl image was captured to help promote the Winnipeg 2013 Miss World of Wheels Pageant, but Jocelyn is not new to the SUN … She was crowned the Winnipeg SUN Girl for 2010. Vroom, vroom, Jocelyn !!! The February 23, 2013 WINNIPEG SUN featured Stephanie as their SUNshine Girl. This was another image captured during the promotional shoot for the upcoming Winnipeg 2013 Miss World of Wheels Pageant. Some of you may recognize Stephanie from the stage of fitness competitions. How dedicated is she? “Can someone drop me off at the Gym after this shoot?” GO STEPHANIE GO !!! The February 16, 2013 WINNIPEG SUN featured Laura as their SUNshine Girl. The image was captured during a promotional shoot for the upcoming Winnipeg 2013 Miss World of Wheels Pageant. Laura has attended many of my photoshoots working as the Make-Up Artist, but this was the first time she got in front of the camera. In early September 2012, under the direction of The Huddle Magazine‘s Scott Taylor, I captured a series of images of Winnipeg athlete, Leon Cenerini, for Football Manitoba. This promising 17-year-old was named the best defensive player at the 2012 Football Canada Cup. With Make-Up by Tannis Miller (Supermodel Factory), the results were definitely what I envisioned for the session, and reflective of the team in attendance that evening … Leon, Tannis, Scott, Ron, and Andrew. Thank y’all !!! One of my ongoing projects is the IN OUR LIFETIME portrait series. 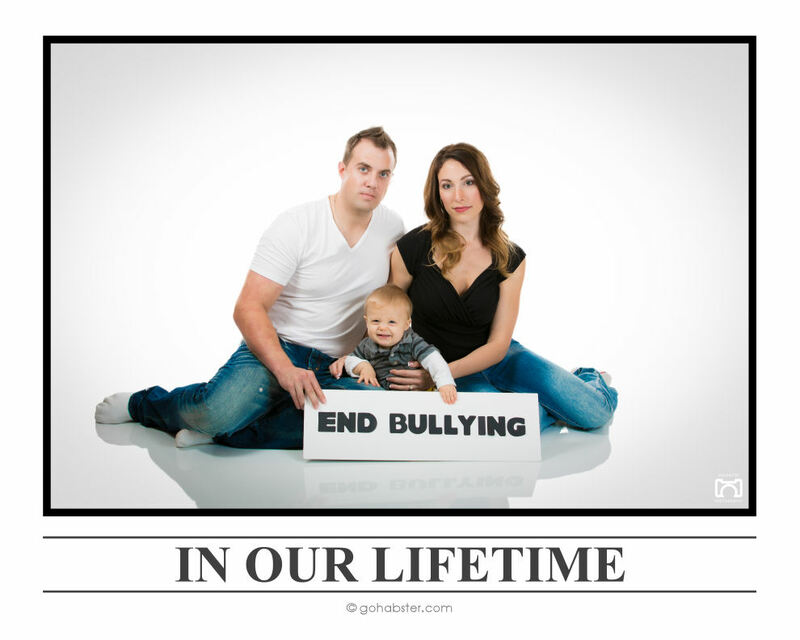 This poster is timed appropriately to acknowledge “Bullying Prevention Awareness Month (October 2012)” and I was afforded the opportunity to share the message with this young Family. Please share this message … and also lend your support to the “Love is Louder” movement. After the successful photoshoot with Dannie Riel , I was happy to learn that a couple of the images from the shoot would be published by PERFORMANCE AUTO AND SOUND MAGAZINE. Working with Dannie and Randi (PASMAG) was so easy and so rewarding … Definitely will do so again. The image on the left can be found in the 2012 GIRLS OF PASMAG Digital Edition, and the image on the right is in the JULY 2012 (PASMAG) Print Edition. Worked for the first time with Sasha (2009 Manitoba Overall Figure Champion & Ms. Manitoba, 2010 CBBF Natural National Master’s Champion) on April 14, 2012. Although this is still two weeks before she returns to competition status at the 2012 IFBB World Championships Qualifier on April 28, her level of fitness looks “ready” to me. Thanks to Claire… whose assistance with hair and wardrobe helped to keep the shoot progressing smoothly…. (even though I only paid her with two pieces of chocolate). In addition to shooting highschool graduation portraits for Devon, we decided to have some fun by creating a few posters for his SAFE GRAD. Oksana and Jocelyn were kind enough to help out, and Devon was able to stay cool for most of the shoot… LOL. This was the first of several posters created from this session. The background is John Taylor Collegiate at 1:30 AM … stealth shooting like ninjas …. but I’m sure the security cameras caught us (me and my bodyguard) setting up our tripods. The people living in the apartment across the street were probably wondering what was up !! !